You already know that it takes regular brushing and flossing plus good nutrition and regular checkups, to defend your smile from cavities. But oral care and nutrition are only two risk factors you should be aware of in having a cavity-free smile. In today’s post, we’d like to highlight a few more risk factors that you might not even be aware of. If you have questions about any of them, don’t hesitate to give Randolph Dental Care a call. Did you realize that having cavities in the past makes you more vulnerable to having cavities in the future? That’s because decay weakens the protective layer of enamel on the outside of our teeth. 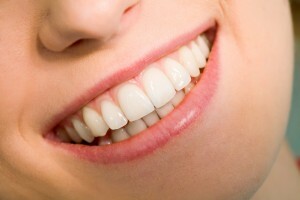 To protect your smile, treat cavities early, before they have a chance to become more developed. You should also make sure you’re getting enough fluoride, which attract minerals important for having healthy teeth. Some patients grew up in a home where good oral hygiene wasn’t a priority. But we’re not just talking about poor oral hygiene when we talk about family history. Some patients are more vulnerable to cavities because of heredity. If you’ve noticed a pattern of cavities in your family, make sure you’re brushing and flossing regularly, and that you’re visiting Dr. Goldstein a minimum of twice a year. Among the different things that saliva does, one is flush bacteria out of your mouth. Another is that it helps neutralize acid, which can harm tooth enamel. In cases of dry mouth, teeth are more vulnerable because there’s nothing to get rid of bacteria or take care of the acid. That’s why, if you struggle with dry mouth, it’s important to drink water throughout the day, so that your mouth stays moist. Xylitol mints or gum may also help. Do you have questions about any of these risk factors, or do you need to schedule an appointment with Dr. Goldstein? Call Randolph Dental Care today. We serve patients from Randolph, Rockaway, Mendham, Chester, Morristown, Denville, Morris County, and surrounding areas.